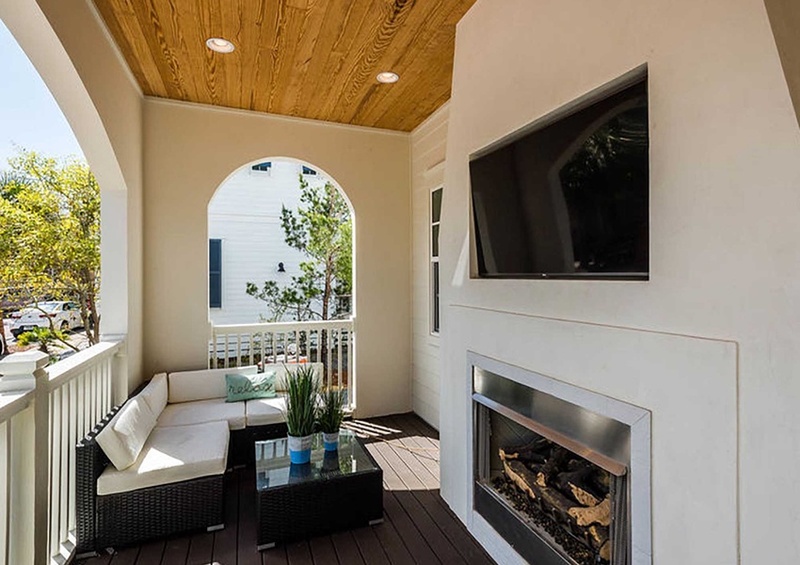 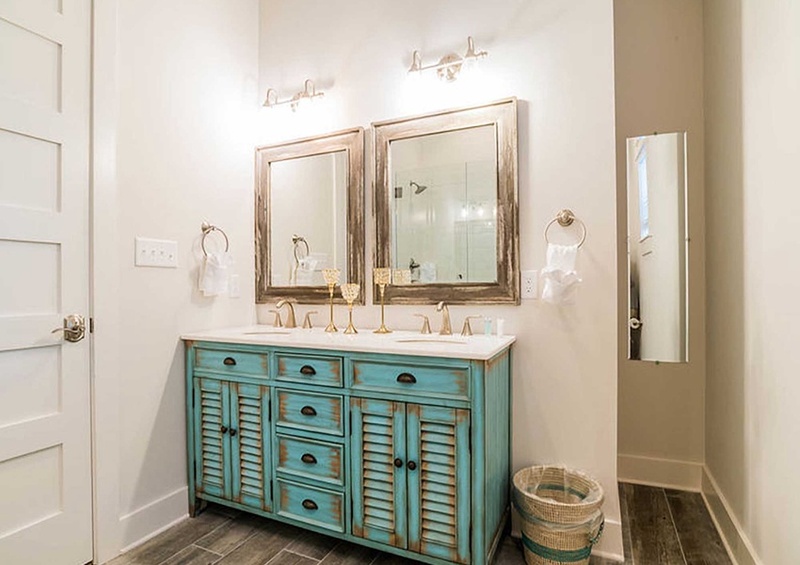 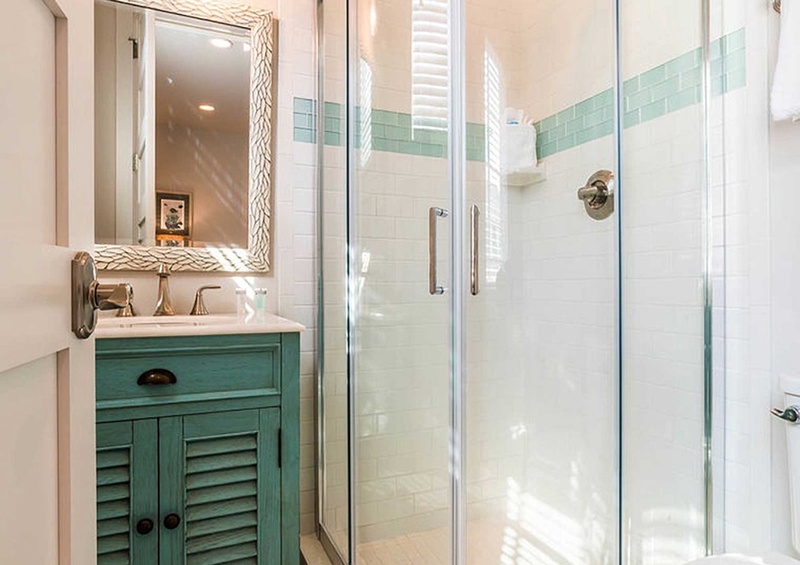 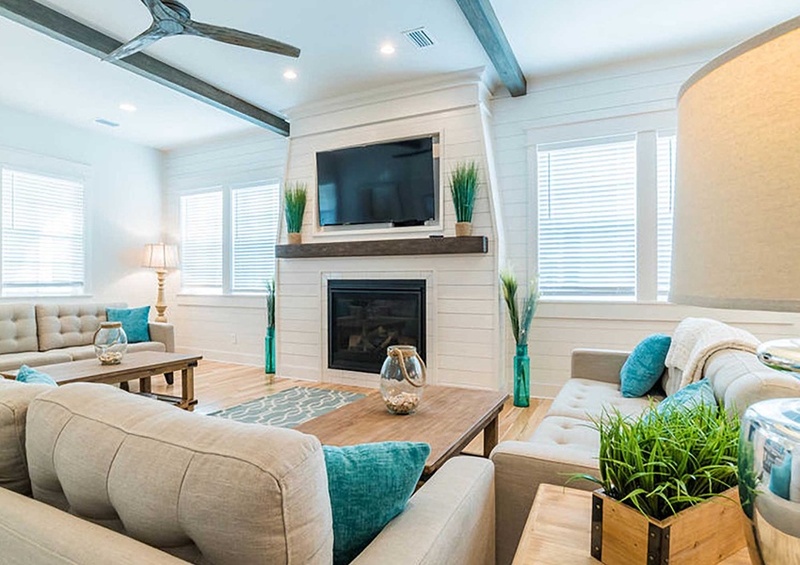 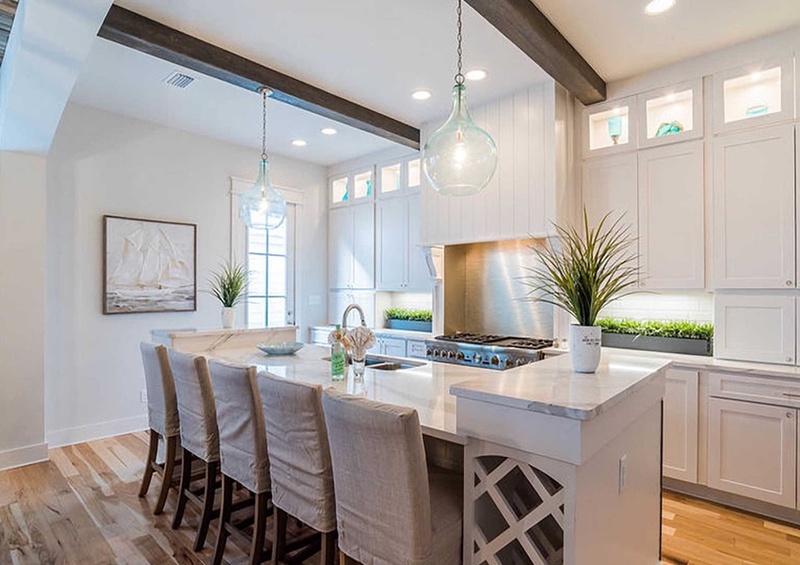 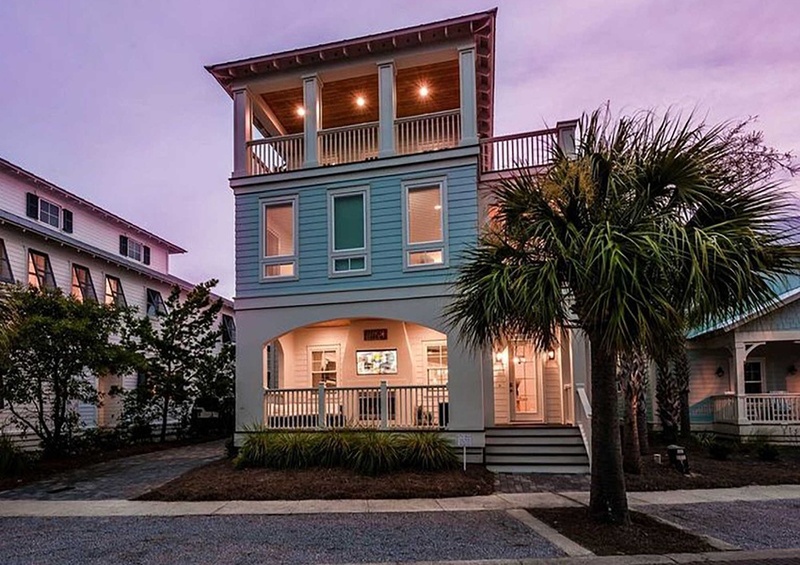 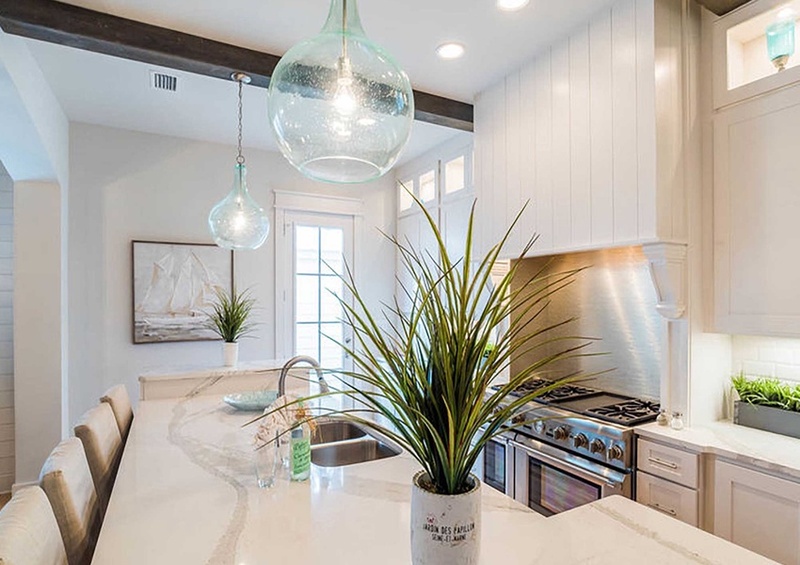 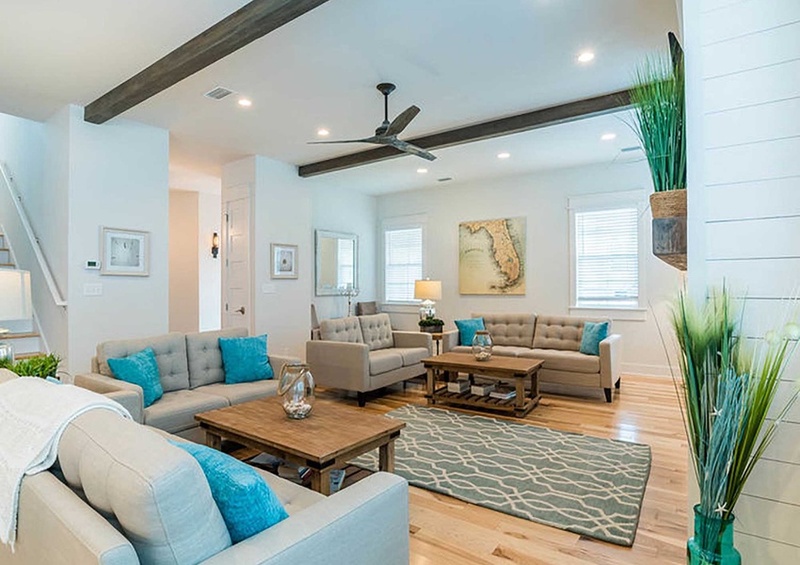 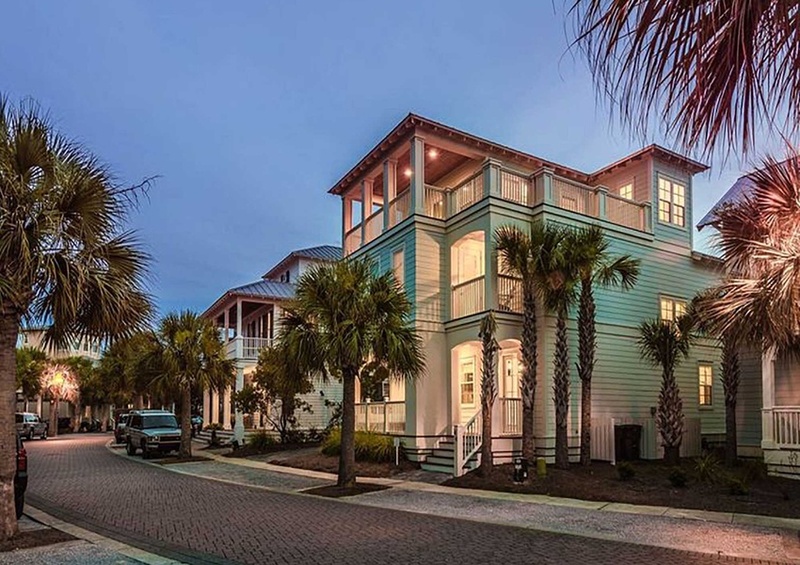 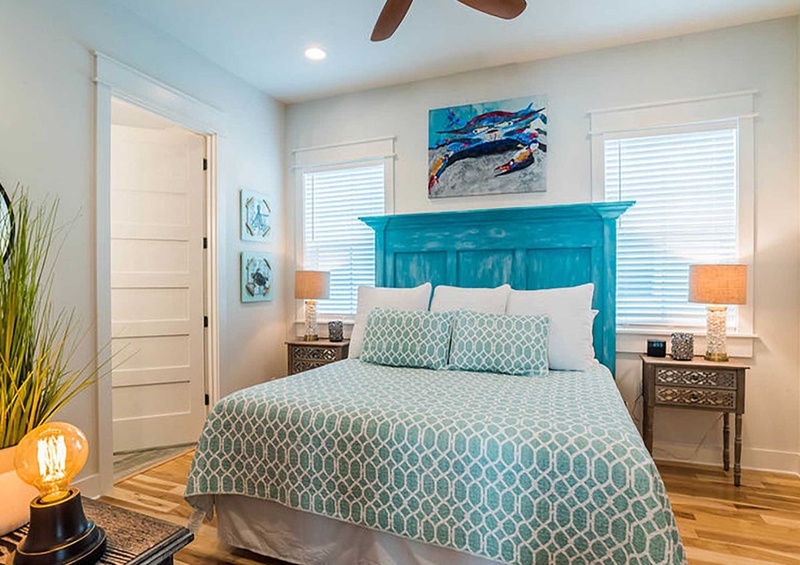 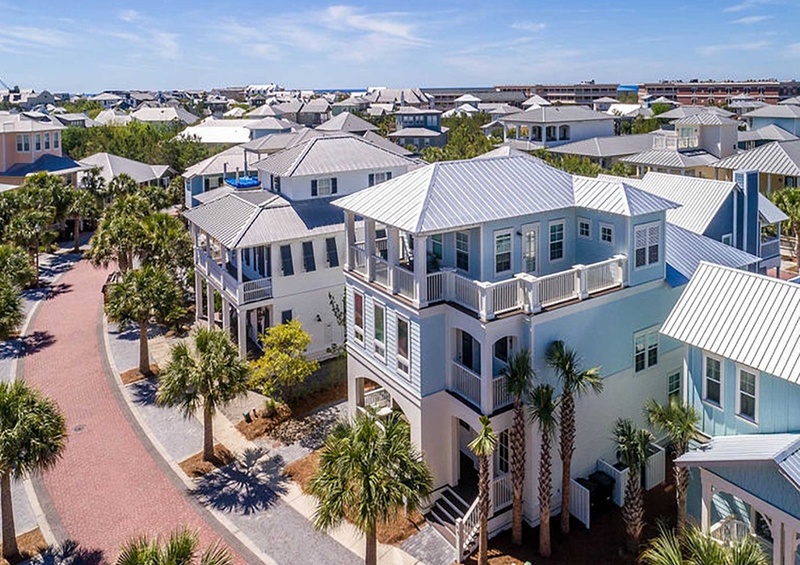 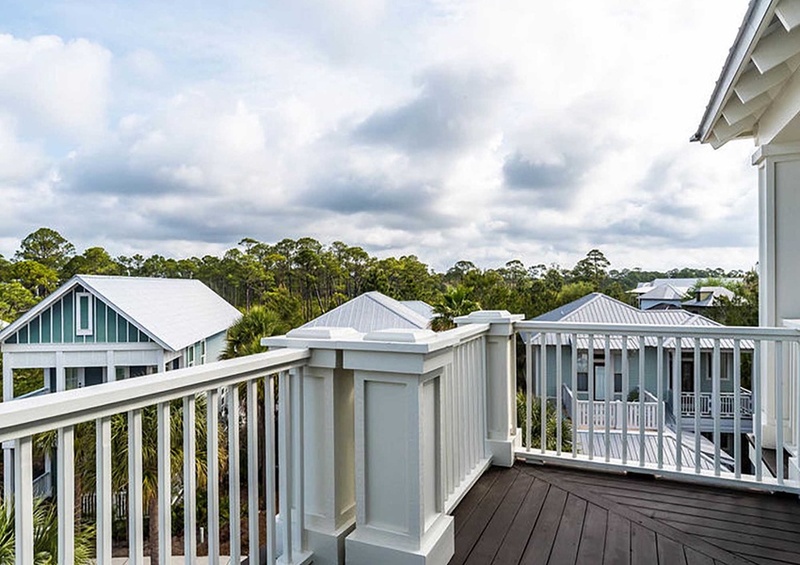 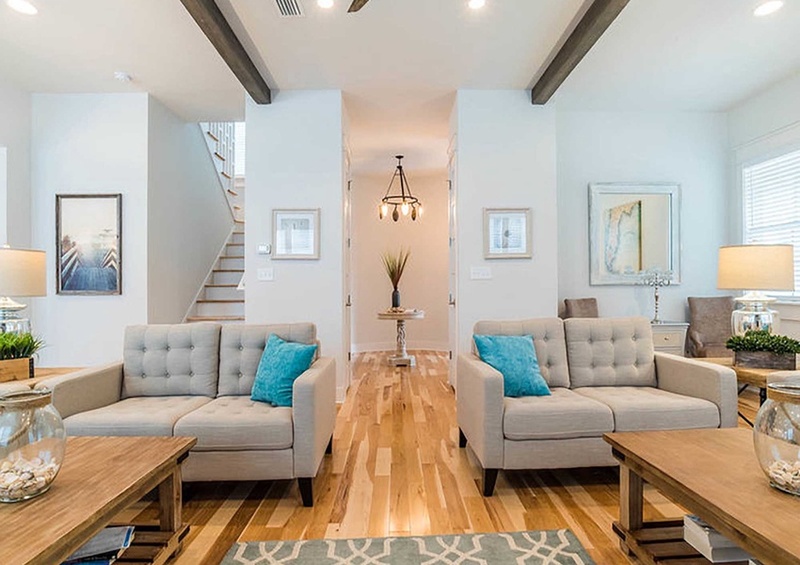 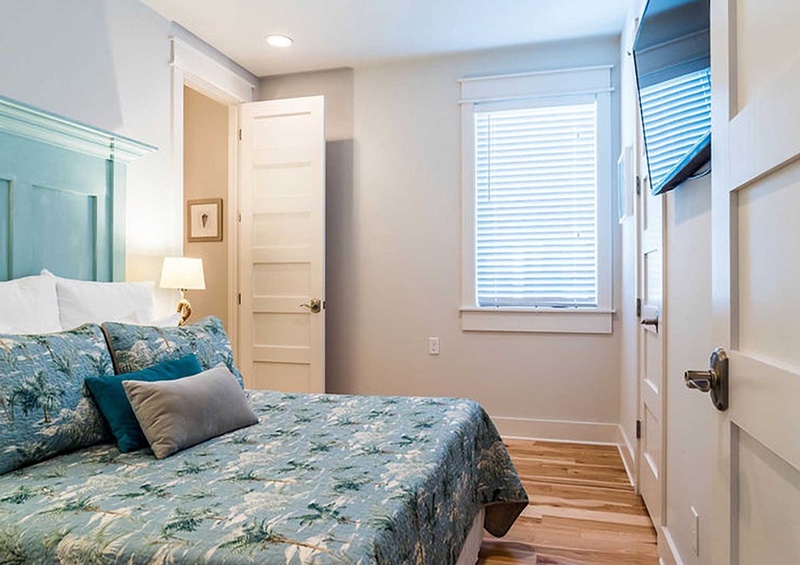 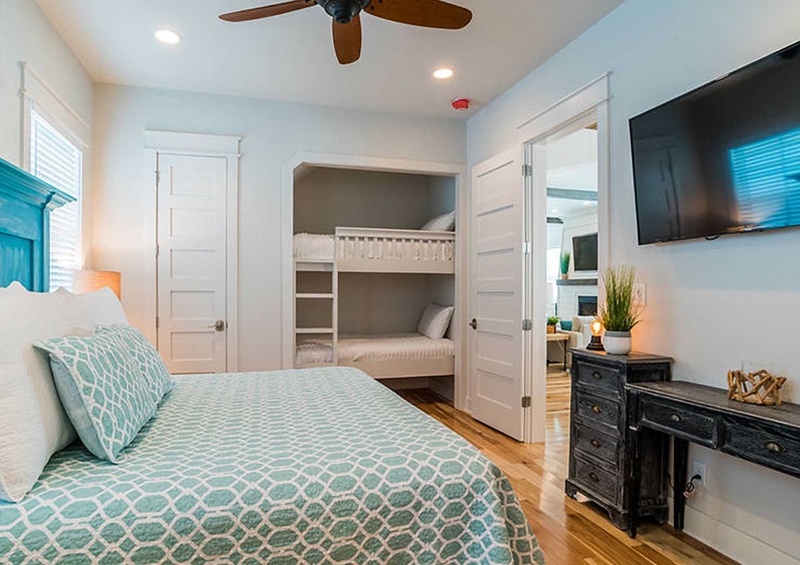 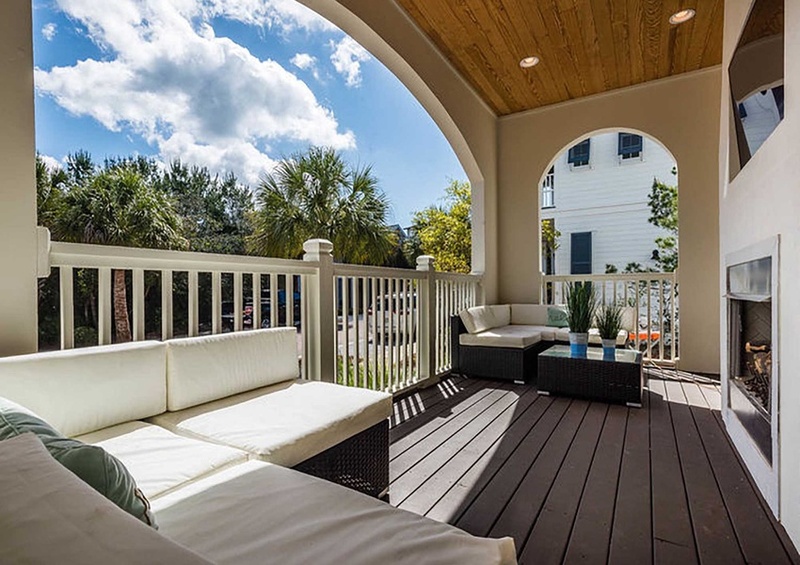 Redefine luxury and relaxation during your stay at Ciao Bella ~ Vacation Rental Home in 30A by Southern, located in Seacrest Beach nestled between Rosemary and Alys Beach. 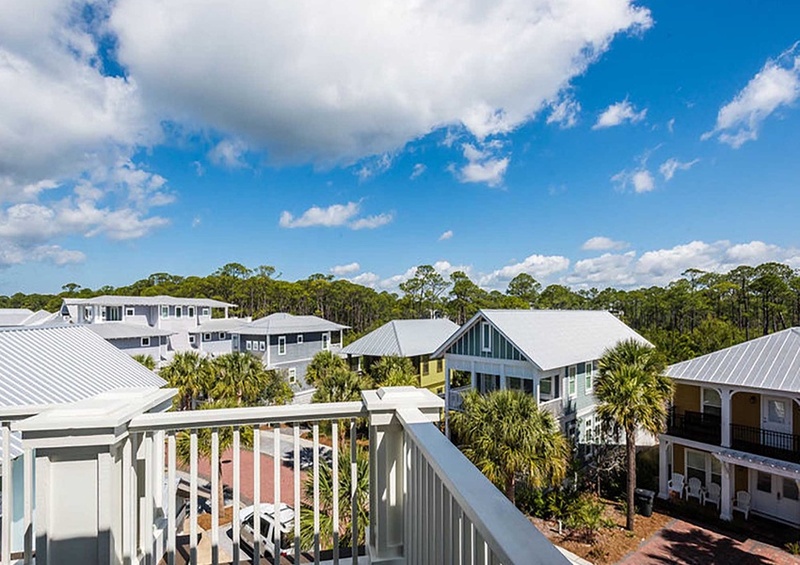 The Seacrest Beach community features immaculately manicured neighborhoods, a 12,000 square foot waterfall lagoon, and complimentary shuttles to and from the beach! 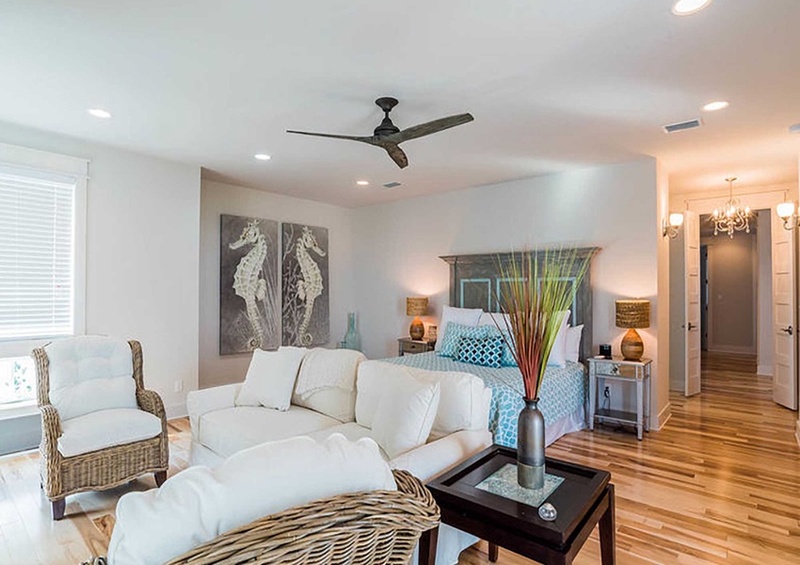 Exquisite decorating throughout and large flat screen televisions in every bedroom! 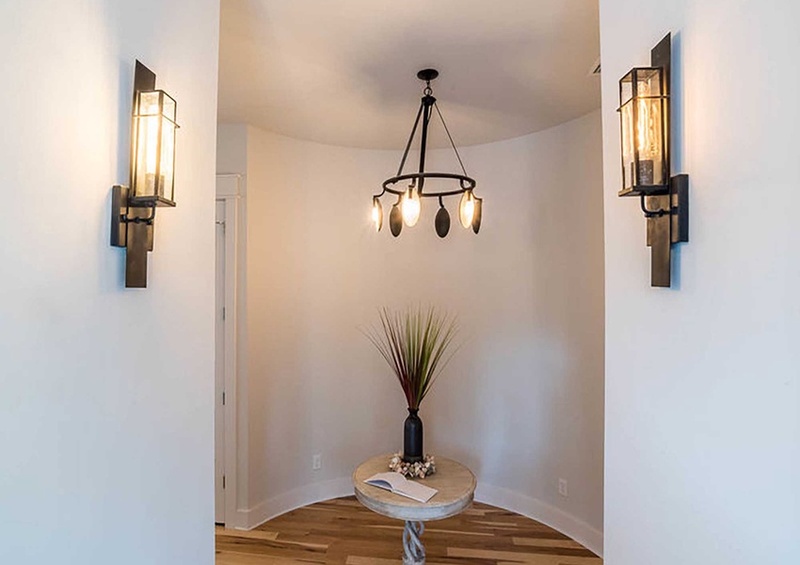 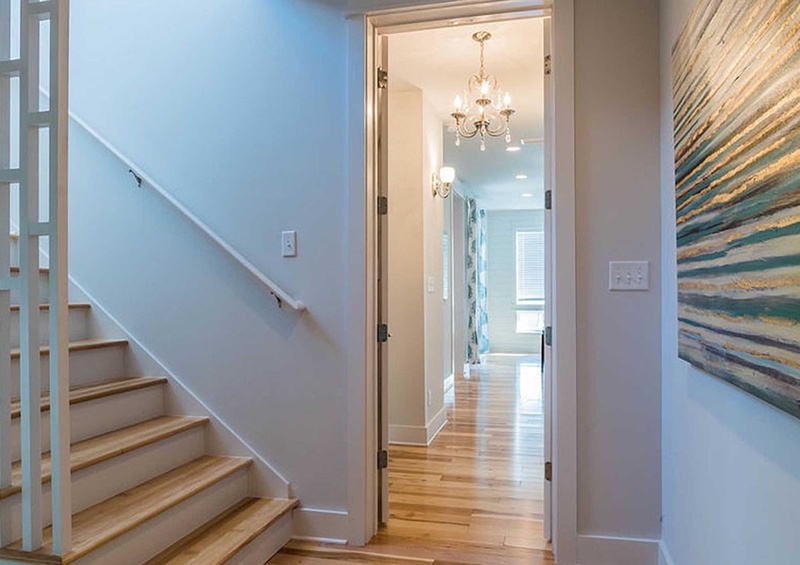 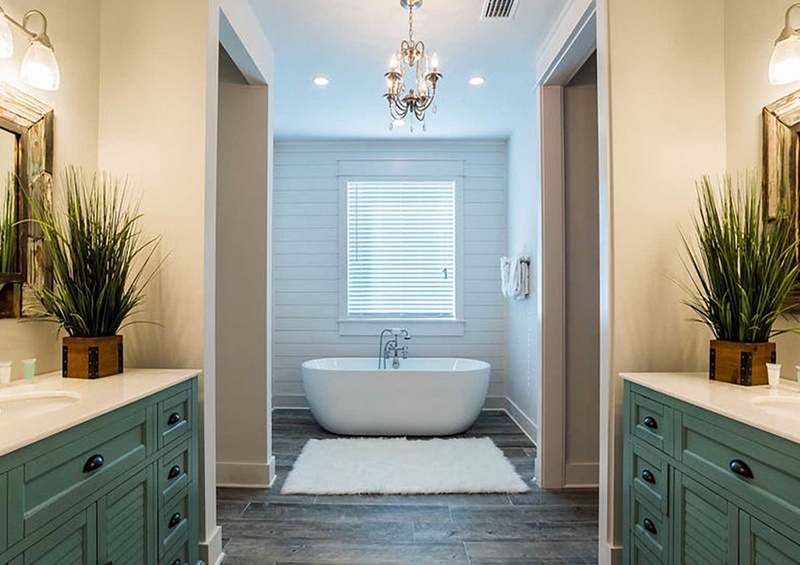 Enter the home and be greeted by the classic decor, accented wood walls, and hickory floors throughout. 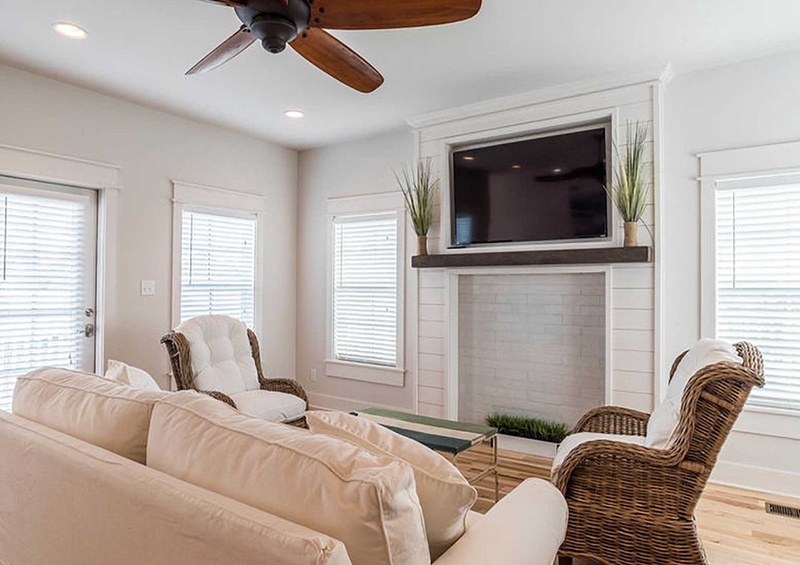 The living room boasts generous seating and a gas fireplace accentuated by a SmartTV. 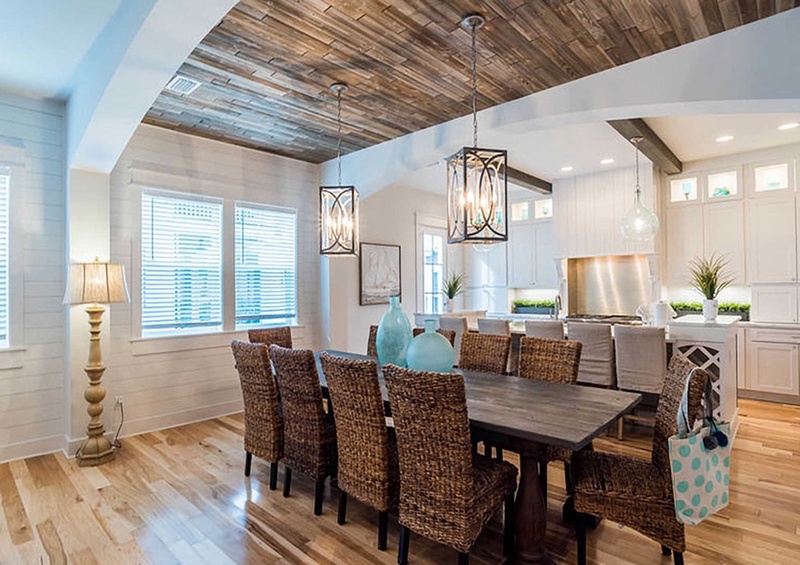 Adjacent is the dining room with seating for ten in addition to kitchen island seating for five. 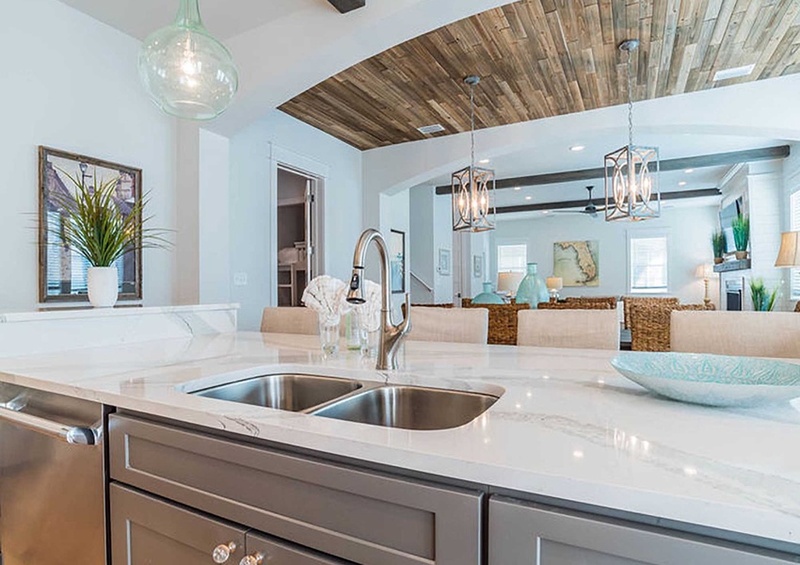 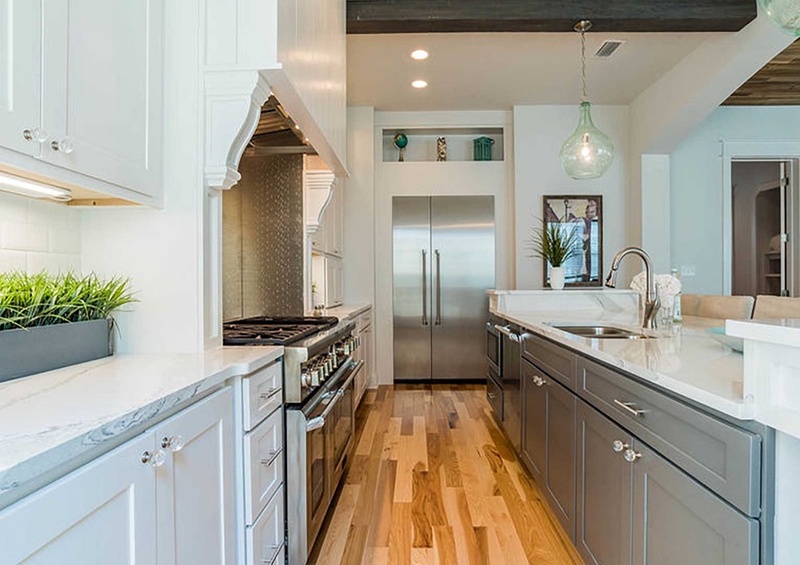 Stainless steel Thermador appliances throughout the kitchen also complemented by granite countertops provide a truly magnificent dining and preparation experience for your family and guests. 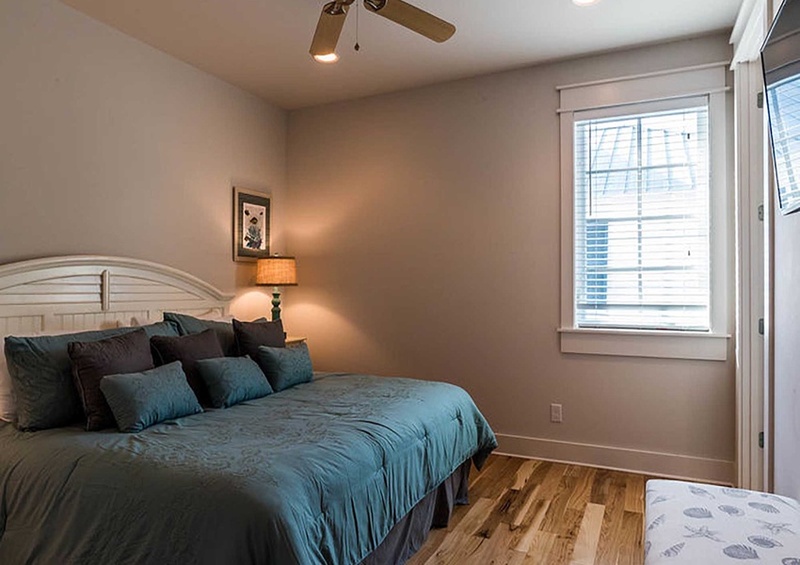 The second bedroom is on the first floor in addition to a private full bathroom. 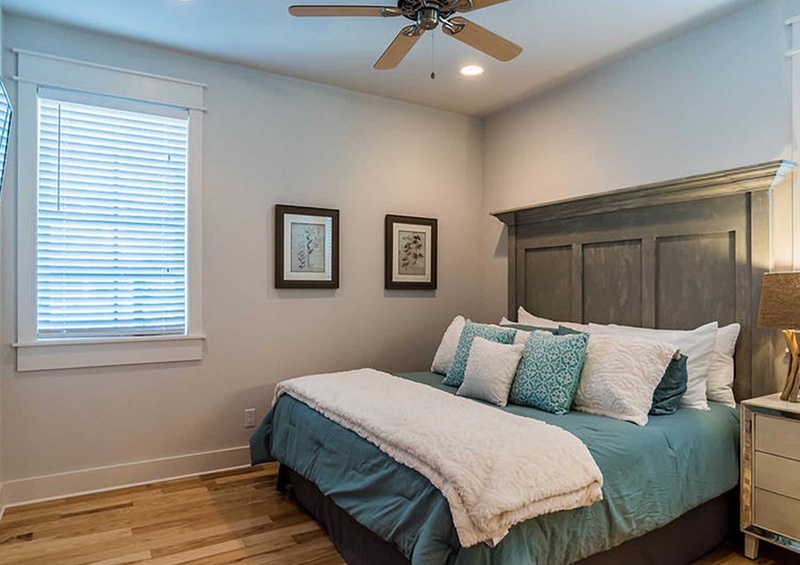 On the second floor are the master bedroom plus three additional bedrooms. 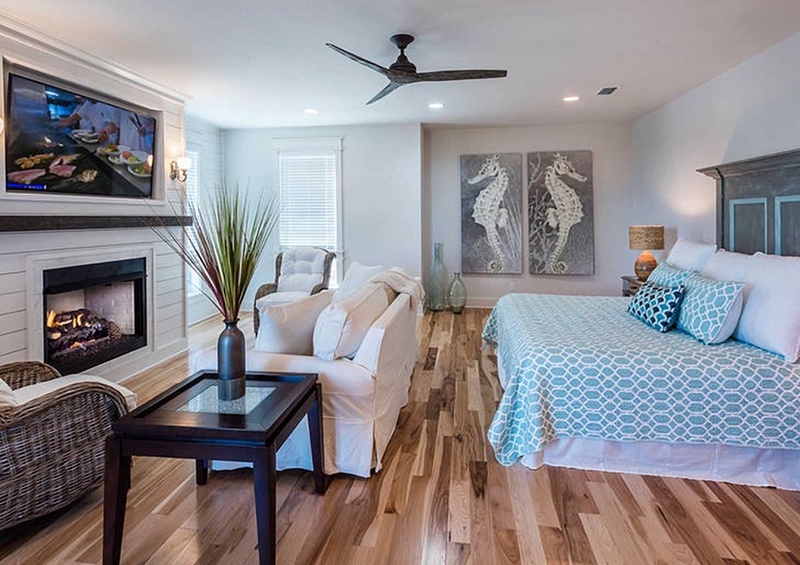 The master bedroom features an en-suite gas fireplace, and large SmartTV. 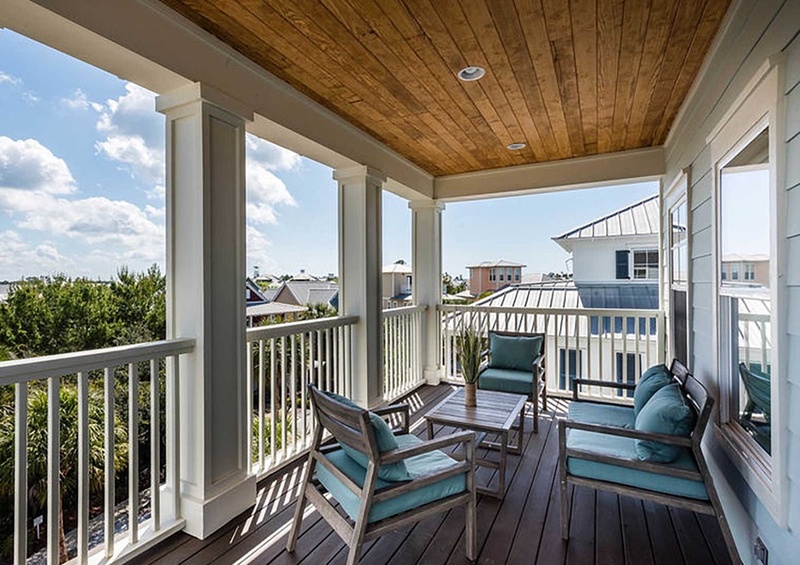 The private patio has incredible views of Seacrest Beach and also Rosemary Beach neighborhoods. 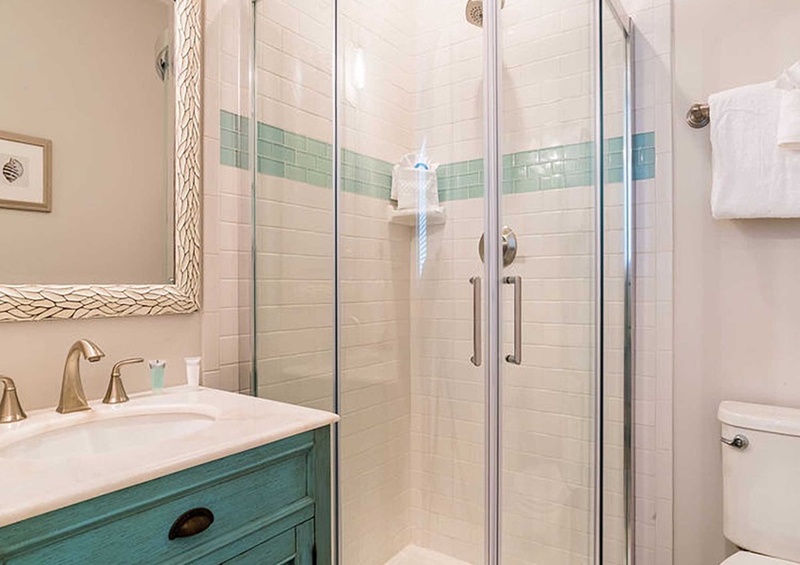 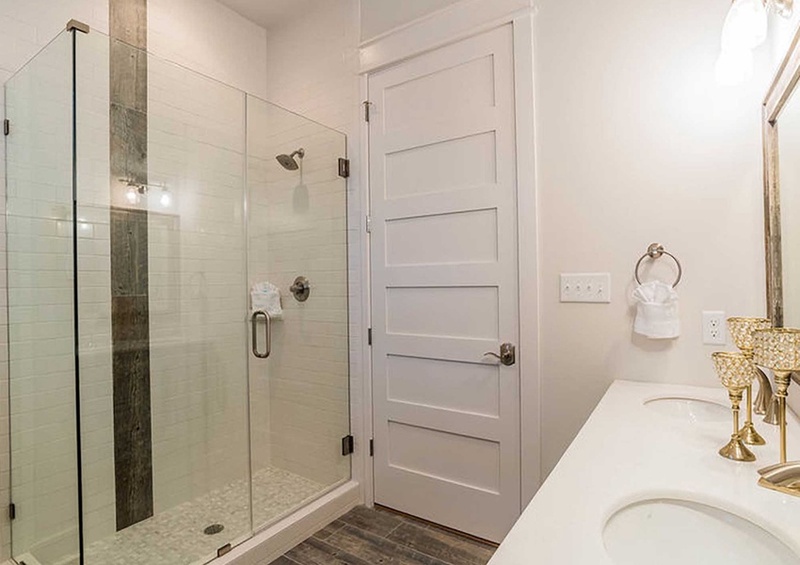 Meanwhile, the en-suite bathroom boasts a large garden tub, dual vanities, and walk-in shower. 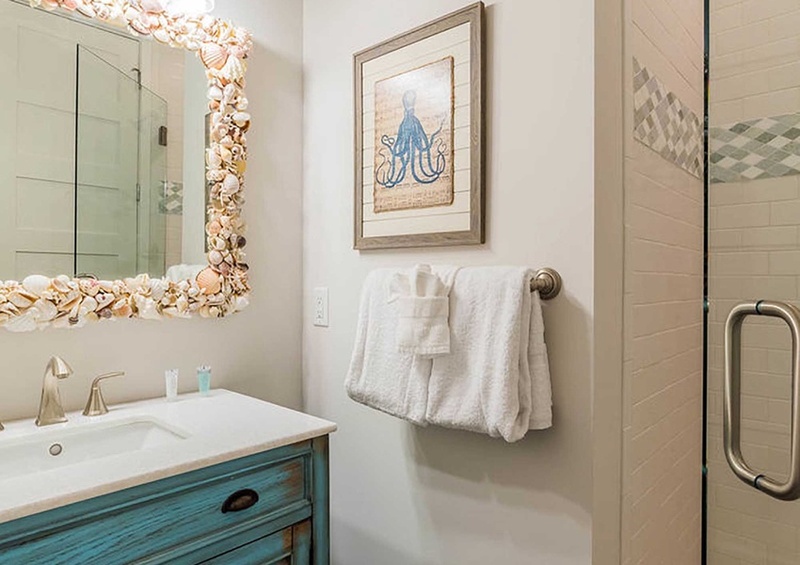 All guest bedrooms have en-suite bathrooms. 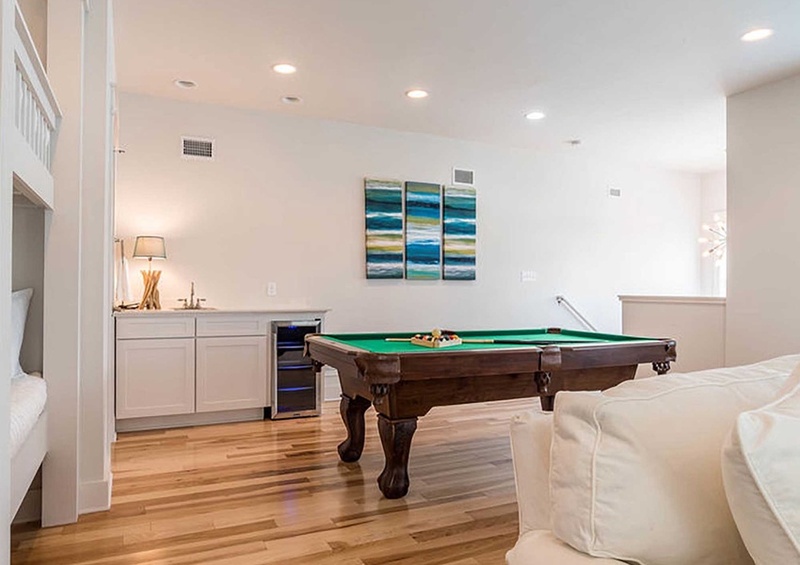 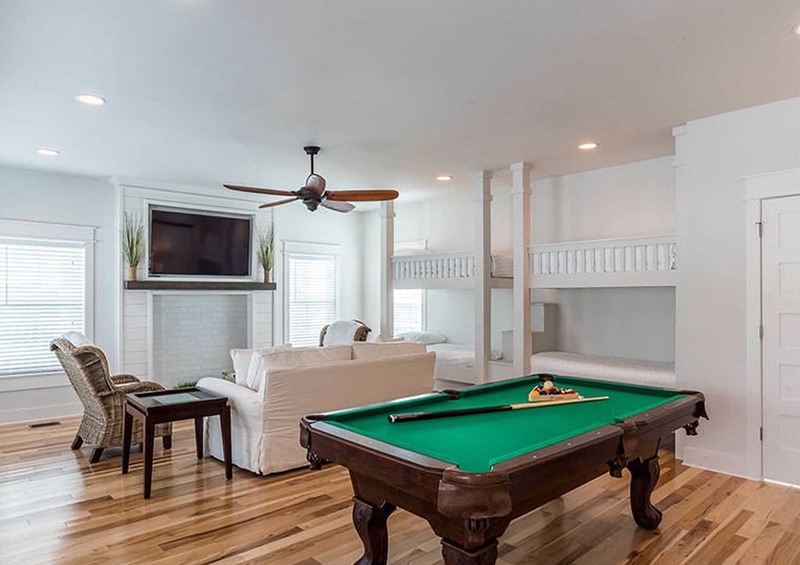 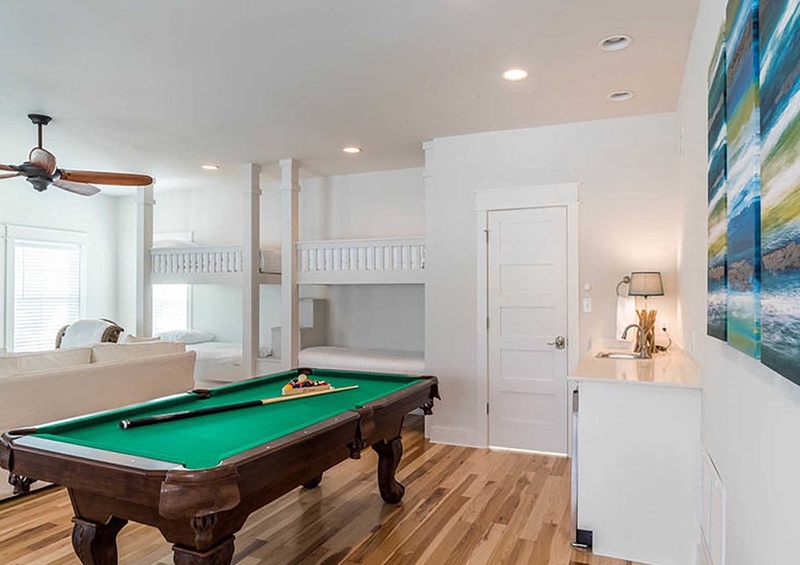 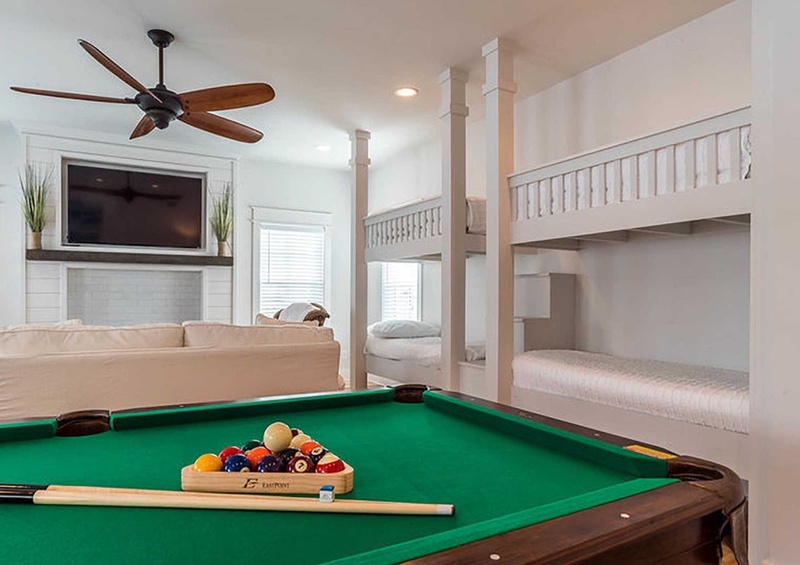 The third floor hosts a recreation room featuring two twin bunks, a sleeper sofa, and also a billiards table. 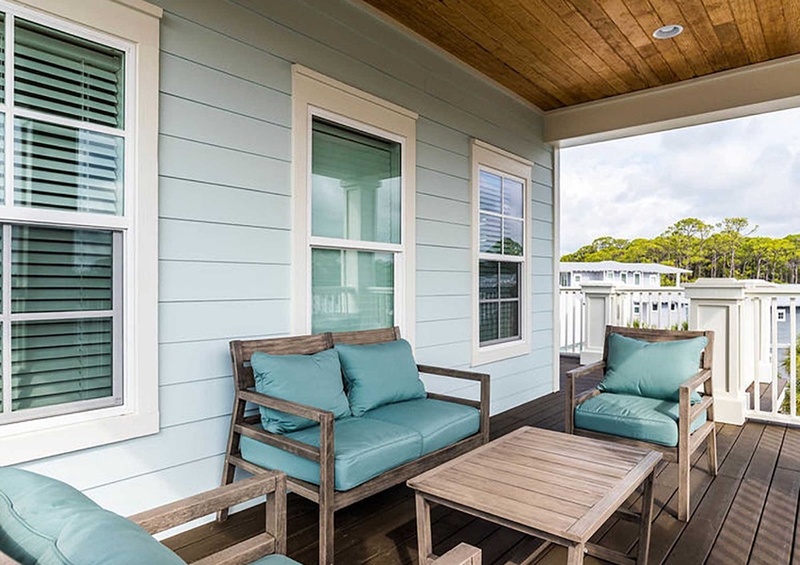 A half bathroom, wet bar, and large wrap around deck are all in place and essential amenities to enjoying sunsets and ocean breezes! 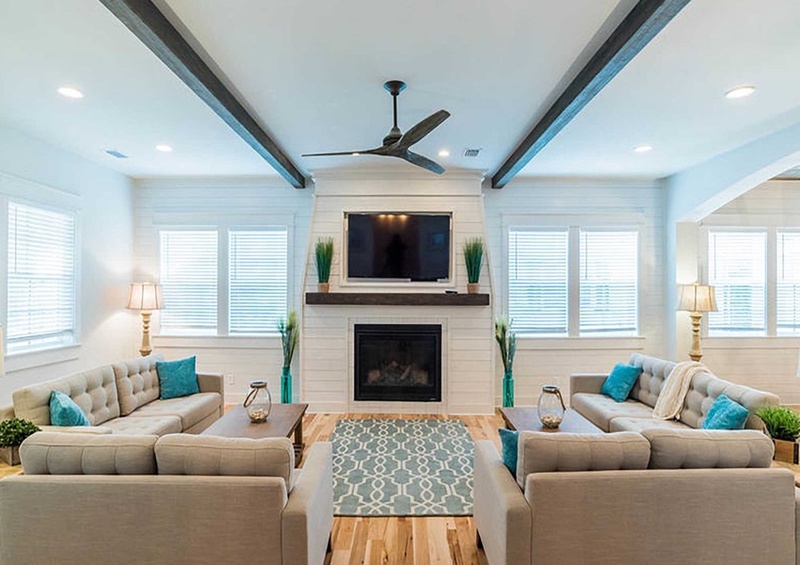 Ensure you also perfect your plans by adding a local event to them! 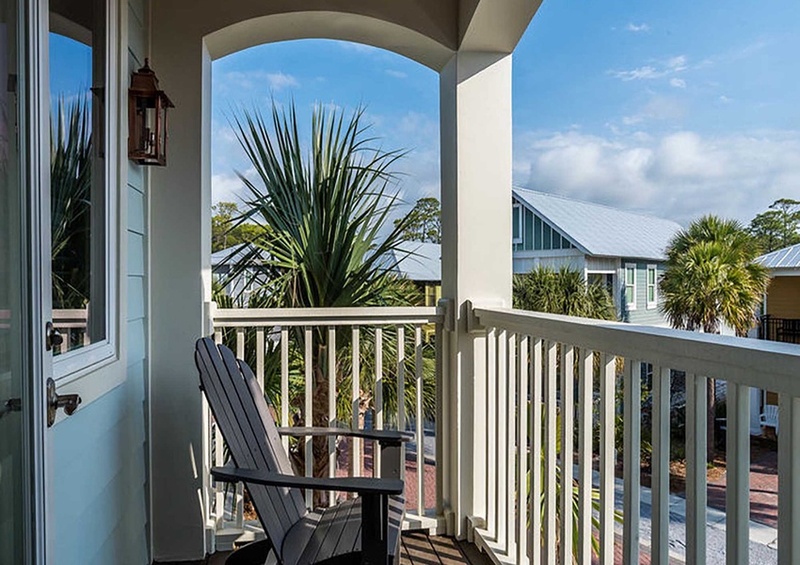 Book Ciao Bella ~ Vacation Rental Home in 30A by Southern today!